!! NEW UNISEX HAIR !! Two punk funk hair styles this week that fall nicely within a couture model look. The longer of the two, embelished with deep sweeps. 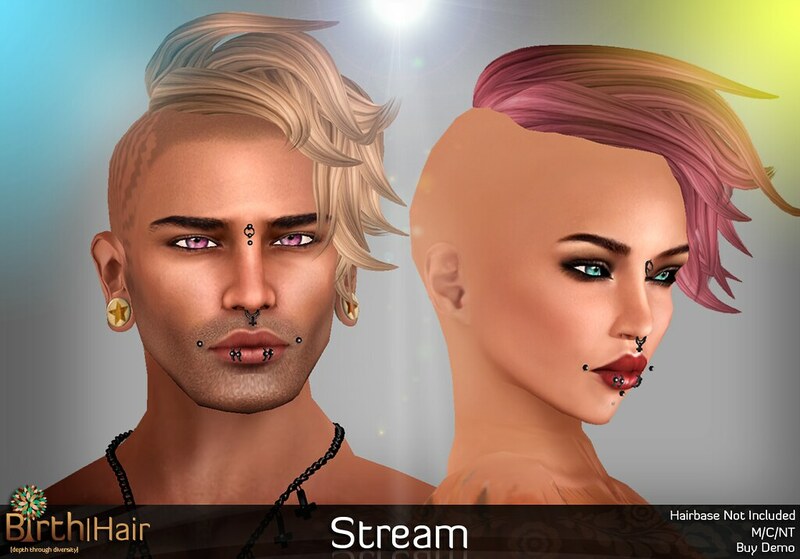 **Both feature new hairbases that will soon be released. These aren't included in the hairs, but we'll release them very soon. Offering short tattoo style clippings in both close shaved and short hair.